I am kind of obsessed with rose based & scented beauty products these days. The smell of rose is so light and airy, relaxing and not over-whelming. I've recently used a rose mask, hand cream and scrub but looking to add more to my list. 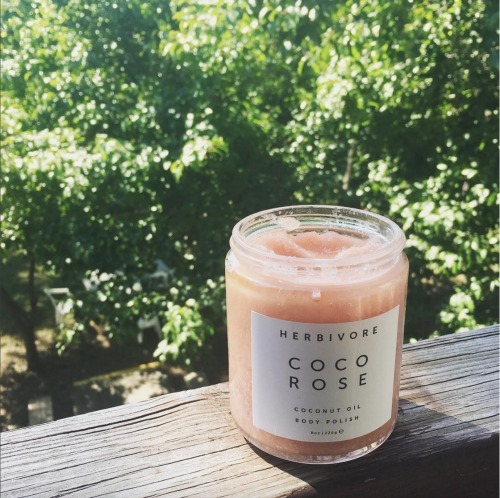 A new addition to my shower routine is Herbivore Botanicals's rose sugar scrub (above). Such pretty packaging and sloughs away dead skin with sugar and hydrates with coconut oil. 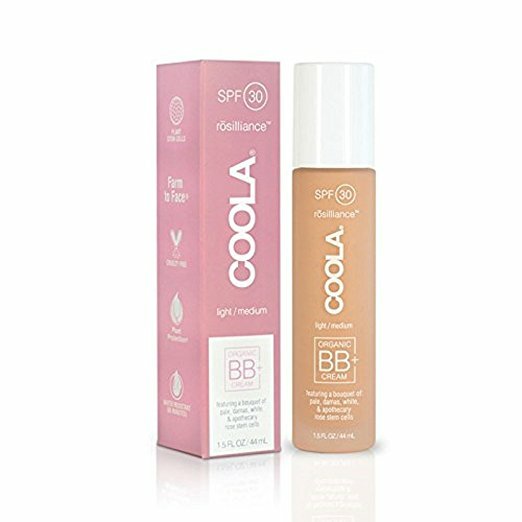 My friend gave me this light shaded Coola BB cream that smells so rosy and fresh. I've used this summer as my tinted moisturizer. PS: I also love Coola's SPF setting spray too. 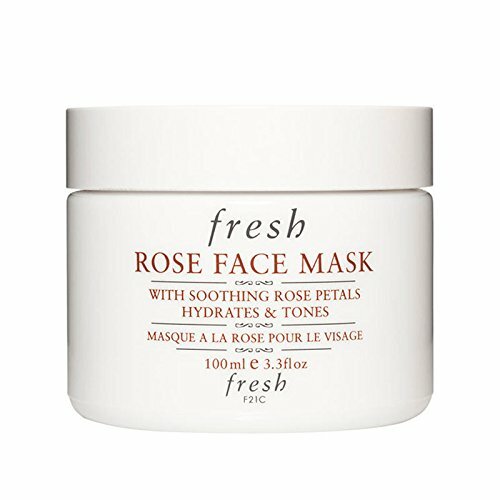 I recently got a sample of the rose mask by Fresh. It's a gel consistency with real pieces of roses. It felt a little weird on the face at first but smells lovely and my face felt awesome after. I bought more and can't wait to use again. By the way, Fresh has a whole line of rose skincare products. 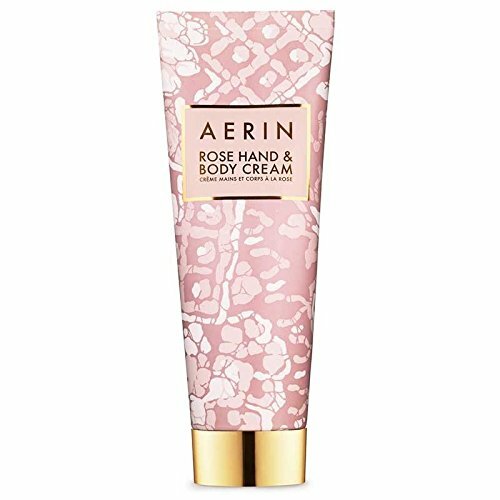 I've had this Aerin rose cream on my bedside for a while. It's very luxurious. 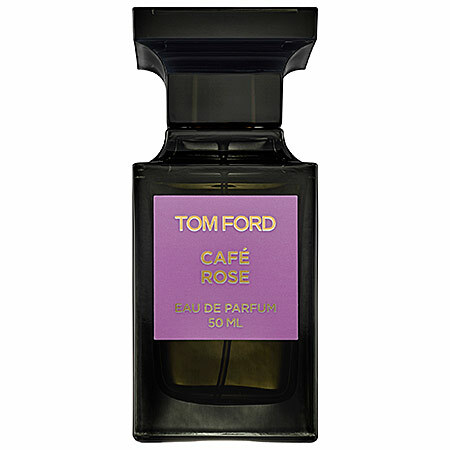 This rose fragrance from Tom Ford smells AMAZING I bet but out of my budget. 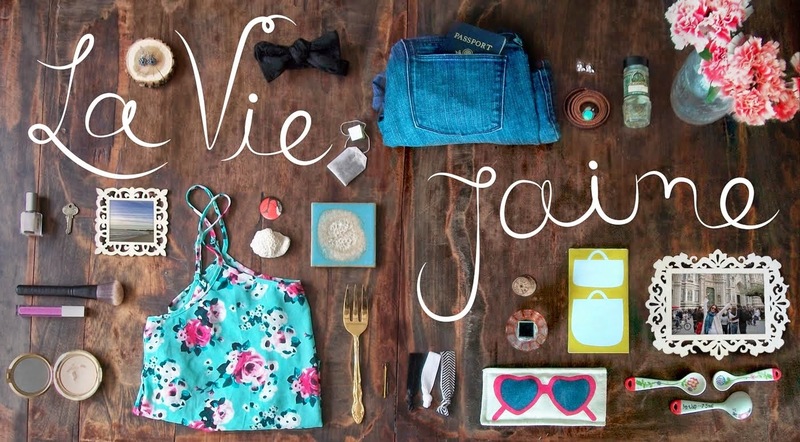 A girl can dream! Doesn't this rosewater facial spray from Mario Badescu sound nice? 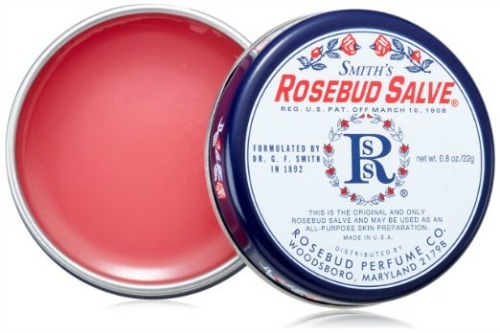 Finally, who can forget the classic and budget-friendly Rosebud Salve? Do you love rose based and scented products? What others should I try?